Access Hollywood reports, "Hannah Montana is coming to an end." Billy Bush had a talk with Billy Ray Cyrus about the show. "Quite frankly, I give a lot of credit to Miley for taking it to another year," Cyrus said. "She didn't want it to just end with whatever was the last episode we did. She wanted it to build to where there's a moral to the story, to where it doesn't just end and go away and that's it. 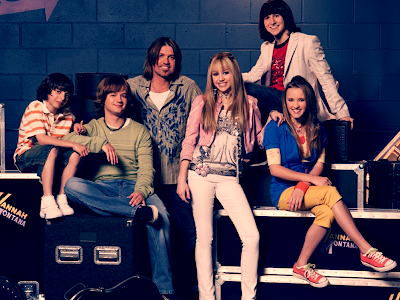 She wanted there to be an official ending to Hannah Montana." Cyrus said they will film the final 11 half-hour long episodes and a one-hour long season finale, all expected to screen in 2010. "We'll start (shooting) season 4 sometime around the end of January," Billy Ray said. "We have to be done by the first week of June in the summer of next year."